Melt butter in a large skillet over medium-high heat; add green onions, minced garlic, lemon rind, lemon juice, and salt; cook garlic mixture 2 to 3 minutes or until bubbly. 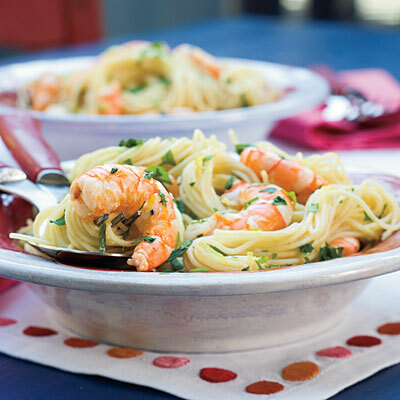 Reduce heat to medium; add shrimp, and cook, stirring constantly, 5 minutes or just until shrimp turn pink. Stir in parsley and hot sauce. Toss with hot pasta. Prep: 10 min., Cook: 8 min.